Flying insects are insects with wings and can be seen both indoors and outdoors. There are many kinds of insects that can fly, some beautiful to look at while others are not so attractive. Yet, all flying insects serve a purpose within the ecosystem. Identifying flying insects will require that you observe the habitat, size, coloring, and behavior of the insect. Observe the behavior of the insect. 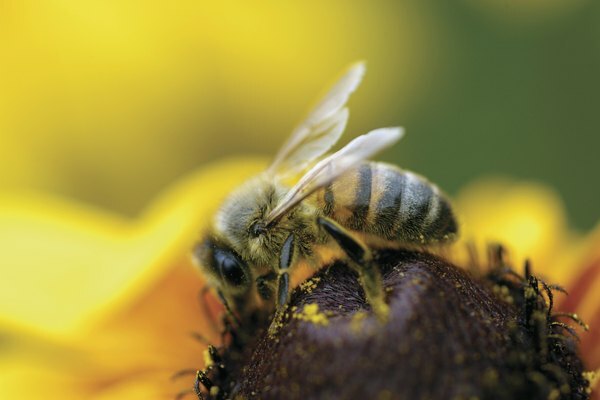 Some flying insects can be aggressive such as wasps and bees, especially if their living conditions are disrupted. 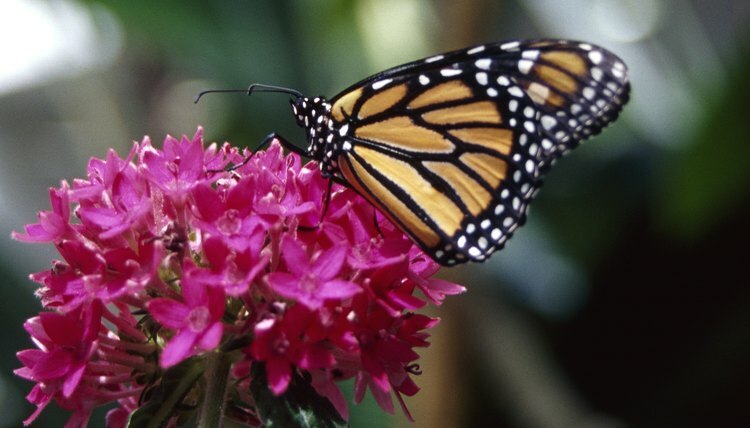 Some, including bees and butterflies can be seen flying around flowers and plants for nectar. Many flying insects including moths, mosquitoes, and June bugs are attracted to light and can often be seen at night flying near light. Examine the insect's physical features. All flying insects, of course, have wings. Some will have two while others have four. They all have three main body sections: the head, thorax, and abdomen. They also have two antennae and three sets of jointed legs. Butterflies have four wings, two forewings and two hindwings that have a variety of colors including blue, black, red, and yellow. 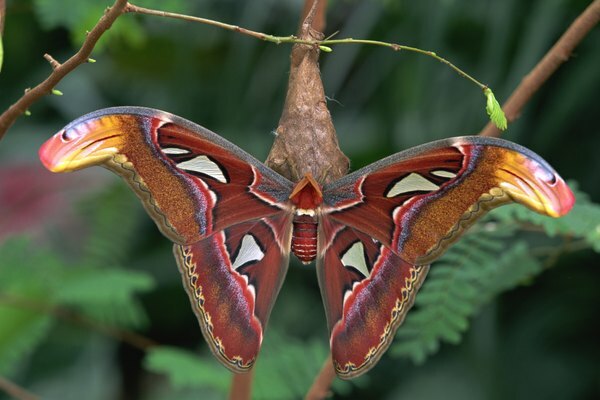 Their wings are made up of tiny scales that are pigmented, giving the wings their beautiful colors. 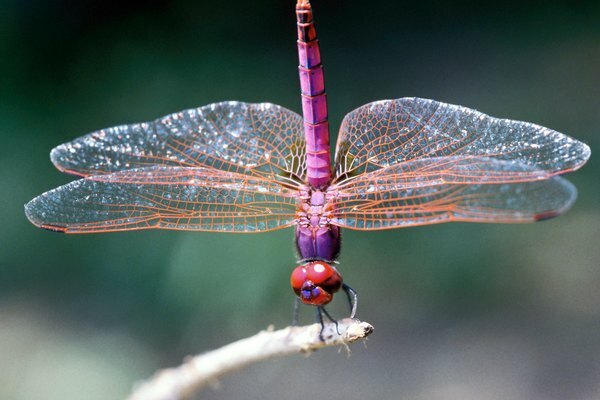 Dragonflies have four transparent wings. Fleas, mosquitoes, and flies all have only two wings. Look at the coloring of the insect. Many flying insects can be colorful, while others are of dull colors. For example, paper wasps are black and yellow as are yellow jackets. Dragonflies are green, black, blue, and orange. Hornets are orange-brown and moths are tan-brown. Many flying insects are simply black, such as flies, carpenter bees, and beetles. Notice the size of the insect. 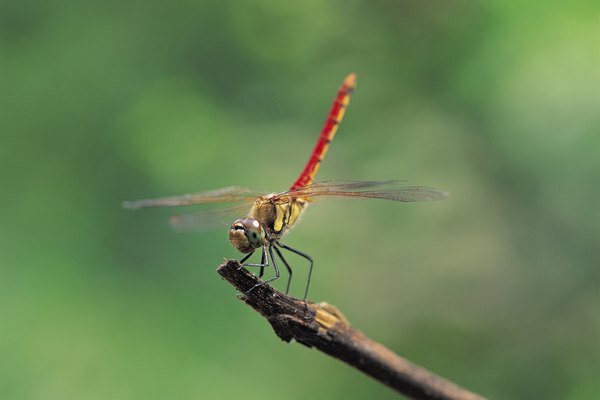 Flying insects range in size from as small as 1/4-inch long (houseflies) to 4-inches long (dragonflies). 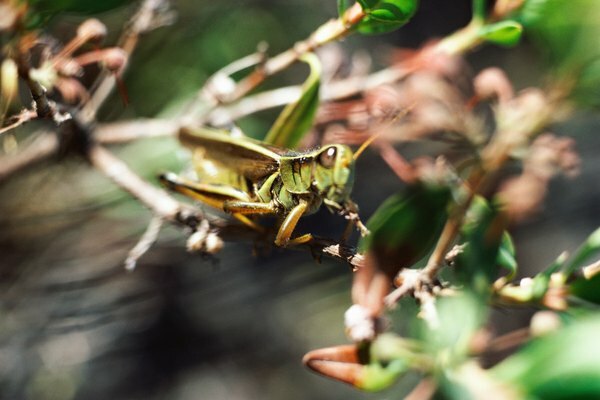 Grasshoppers grow up to 2-inches long, while yellow jackets and wasps grow up to 1-inch long. Analyze the habitat of the insect. Flying insects live in various areas including homes, near water, and trees. For example, swarming termites live in rotting wood in trees and homes, grasshoppers live in open fields, and dragonflies live near wetlands. Do Large American Cockroaches Fly?